Robert J. Farris is the owner and COO of the Ralph C. Wilson Agency. He feels the best way to win clients and keep clients is to be an agency that serves their clients in all aspects of business. 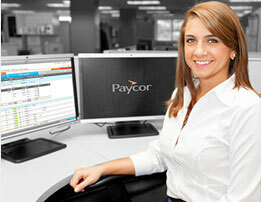 So they partner with Paycor. The changing business of Brokers. With decades of experience, Bob Farris has seen the broker business change over the years. Brokers now need to offer all sorts of service to their clients. Being a resource for Human Resource. Pete Stava is an Employee Benefits Specialist with 30 years experience. He knows the HR world is more complicated than ever and wants to help his clients however he can. That’s why he suggests Paycor. Todd McKenna works hard to make sure all his companies are covered and their employees safe. He suggests Paycor to all his clients for that very reason.